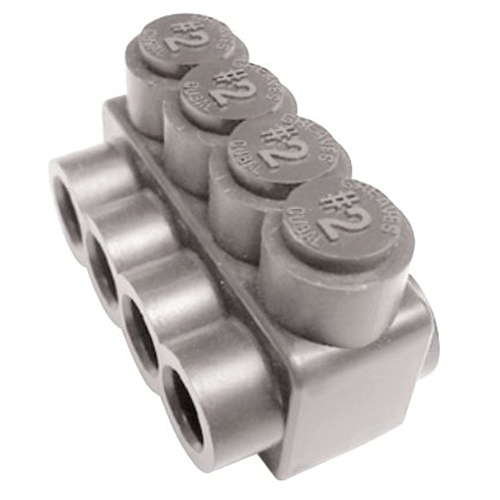 Greaves Pre-insulated 3-Port multi-cable connector of hex size 5/32-Inch, is suitable for use with Flex/extra-flex high-strand wire. This connector has rugged high-dielectric rubber/vinyl insulation coating for added electrical protection. It measures 1.59-Inch x 1.45-Inch. This 600-Volt connector supporting single-side cable entry, accepts copper/aluminum conductor cables of size 14 - 2-AWG. Connector withstands temperature of 90 deg C. Multi-cable connector is UL listed and CSAus certified.